CS @ ILLINOIS is proud to announce that eight outstanding new faculty members are joining the department over the next year. In total, thirty-six new talented teachers and researchers have joined CS @ ILLINOIS since 2013, helping the department meet an unprecedented demand for a CS education. These new faculty arrivals will not only enhance our excellence in the research lab, but also help ensure that our students’ classroom experiences are second to none. With innovative new degree programs like our cross-disciplinary CS+X degrees for undergraduates and our MOOC-based master’s program in Data Science, Illinois continues to be a leader in CS education. 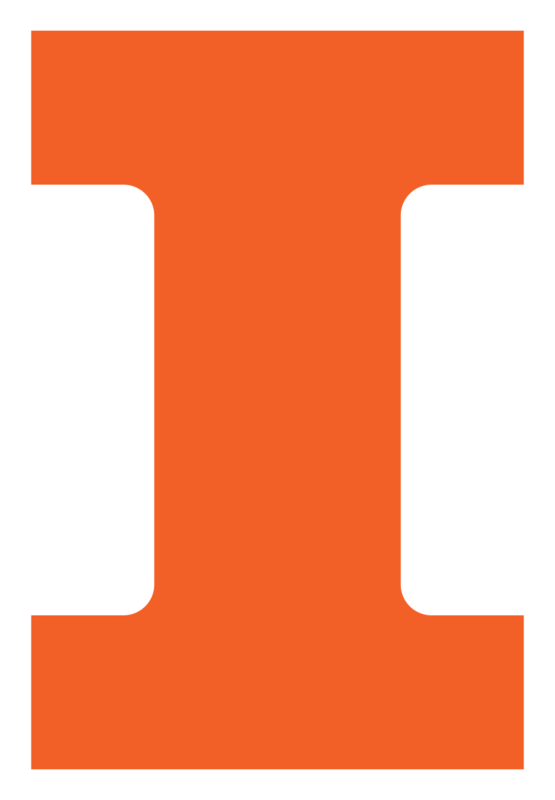 Home to a top five graduate program, CS @ ILLINOIS is hiring faculty again this year. Geoffrey Challen has spent over a decade working in sensor and mobile systems. He has deployed sensors on active volcanoes; designed novel ways to utilize, improve, and program smartphones; and operated public testbeds enabling both sensor network and smartphone platform research. He received the NSF CAREER Award in 2016 to support his work on adaptive programming language constructs and adaptive online courses. At Illinois, Challen will shift his focus to building computer systems that improve teaching and learning—both in computer science and across other disciplines. He has previously designed and taught hybrid courses on operating systems (ops-class.org) and a large-scale flipped course on the internet (internet-class.org), and he led the redesign of the University of Buffalo’s entire computer science curriculum. He is excited about the challenges of efficient education at scale, and committed to creating an inclusive and exciting environment to help improve diversity in computing. Prior to joining CS @ ILLINOIS, Challen was an assistant professor at the University at Buffalo, where he led the blue Systems Research Group and directed the PhoneLab smartphone platform testbed. He has undergraduate and graduate degrees from Harvard University, where his PhD was advised by Matt Welsh. Challen is a Siebel Scholar, class of 2010. During his work on tumor phylogenetics, Mohammed El-Kebir has developed novel algorithms for reconstructing the evolutionary history of a heterogeneous tumor, given bulk DNA sequencing measurements. This allows him to study the life history of a tumor from its initial stage, where a healthy cell acquires its first somatic mutation, to the later stages, where tumor cells metastasize and colonize distant organs and tissues. At Illinois, El-Kebir plans to develop novel phylogeny inference algorithms for data generated with single-cell sequencing technology. In addition, he plans to pursue the translational aspects of tumor phylogenies. El-Kebir’s goal is to comprehensively identify common patterns of tumor evolution by developing novel algorithms that infer landscapes of tumor phylogenies from large-scale tumor sequencing datasets. Doing so, would lead to valuable insights in the clonal co-occurrence, ordering, and progression of somatic mutations across different tumor types. El-Kebir holds Bachelor’s and Master’s degrees in Computer Science and Engineering from Eindhoven University of Technology, plus a Master’s degree in Bioinformatics from Vrije Universiteit Amsterdam. In 2015, his PhD thesis was recognized with the BioSB Young Investigator Award, an annual Dutch award for the best PhD thesis in bioinformatics. After completing postdocs at Brown and Princeton, El-Kebir will join CS @ ILLINOIS in the fall of 2018. G. Carl Evans first developed an interest in teaching while working on the NovaNET educational computing system, first as an operator and then as a systems administrator. NovaNET was a commercial outgrowth of the PLATO system developed at the University of Illinois. After leaving NovaNET, Evans returned to CS @ ILLINOIS to pursue graduate studies. After earning a Master’s degree in 2011, Evans focused his doctoral work on the use of dynamic information to find vector parallelism. His tool, Vector Seeker, helps guide the optimization of legacy scientific codebases to take advantage of modern hardware. In the course of his doctorate, Evans completed internships at Sandia National Labs and the Exascale Computing Research Center in Versailles, France. After completing his studies in December 2016, Evans joined the CS @ ILLINOIS faculty in the fall of 2017. As a graduate student, Evans assisted in teaching courses in data structures and discrete math. As an educator, he is focused on finding ways to efficiently provide the basics of computer science instruction so that students have a solid foundation for their exploration of the field. He also wants to reach out to underserved populations and make programming accessible to the widest audience possible. A practicing attorney and research scientist, Albert Harris joins CS @ ILLINOIS this fall as a member of the teaching faculty. Harris spent nearly six years helping Fortune 500 companies design solutions to avoid patent infringement by working with engineers to augment wireless networks and cloud computing source code and systems. He regularly educated other attorneys and judges about various technologies involved in the patent litigation. Additionally, Harris runs a solo practice law firm specializing in a variety of legal areas, including digital crime and related policies. Harris’s current research projects at Illinois focus on Internet of Things, drone communication, and sensing systems. His overall research interests include systems with massive numbers of embedded devices that control, sense, and communicate with each other, and autonomous vehicles that operate on land, underwater, or in the air. Earlier in his career, Harris was an adjunct professor at the University of Missouri at Kansas City, teaching cognitive science and philosophy courses. A black belt in karate and judo, Harris runs his own martial arts school, where he has trained competitive fighters in multiple fighting disciplines. Harris earned his doctorate under the supervision of CS @ ILLINOIS Professor Robin Kravets in 2006. Nan Jiang’s research focuses on how AI agents can learn to perform sequential decision-making from a limited amount of data, under the framework of reinforcement learning. Many existing theories study the setting where the number of states is finite and small. However, they cannot handle the practical situation where an agent receives complex sensory observations (such as images). In light of that limitation, Jiang has borrowed theoretical insights and techniques from supervised learning to develop new reinforcement learning algorithms and analyses that scale to problems with large state or observation spaces. Specific research projects include state representation learning for optimal bias-variance trade-off and provable use of function approximation in large state space problems. More recently, Jiang has investigated the problem of how to ensure the safety of AI systems by aligning the value of the agent and that of the human. He has proposed a new theoretical framework that allows repeated interactions between human and agent, and developed an algorithm for the agent to learn the human’s reward function from watching task demonstrations. Jiang received his PhD in Computer Science and Engineering from University of Michigan in 2017. Honors included a predoctoral fellowship from the University of Michigan, as well as a best paper award at AAMAS. He will join CS @ ILLINOIS in the fall of 2018 after completing a postdoc at Microsoft Research. After completing a postdoc under Professor Dawn Song at the University of California, Berkeley, Bo Li will join the CS @ ILLINOIS faculty in the fall of 2018. Her research combines machine learning, security, privacy, game theory, social networks, and adversarial deep learning. Li has designed several robust learning algorithms, a scalable framework for achieving robustness for a range of learning methods, and a privacy preserving data publishing system. She is interested in both theoretical analysis of general threat models and developing practical systems. Li has evaluated the vulnerabilities of real-world machine learning models and developed resilient learning systems to not only preserve robustness, but also optimize resource allocation based on practical constraints. Another focus of her research is on developing scalable robust algorithms that can process massive amounts of data available for Internet-scale problems regarding specific cloud computing infrastructure to achieve secure learning for big data. Her recent research looks to develop robust defensive algorithms against adversarial examples as well as new black-box attack strategies. She is interested in training generative adversarial networks (GANs) to generate malware that will in turn help train resilient malware detection system. She is also developing GANs based translation system between image and text. Li received her PhD in Computer Science in 2016 from Vanderbilt University. In 2015, she received the Symantec Research Labs Graduate Fellowship, one of three recipients nationwide. Mariana Silva received Bachelor’s and Master’s degrees in mechanical engineering from the Federal University of Rio de Janeiro, Brazil and earned her PhD in Theoretical and Applied Mechanics from the University of Illinois in 2009. Her doctoral research focused primarily on the theoretical and computational aspects of design optimization of physical systems that are governed by partial differential equations, addressing problems in the area of static and transient structural topology optimization, material design, wave mitigation, fracture mechanics and robust optimization. Before joining CS @ ILLINOIS, Silva had served as a lecturer and undergraduate academic advisor with the Department of Mechanical Science and Engineering since 2012. There, she was primarily involved in large-scale teaching innovation activities, such as the re-design of the mechanics course sequence sponsored by the College of Engineering Strategic Instructional Innovations Program (SIIP). Silva is very passionate about teaching and improving the classroom experience for both students and instructors. She has been included in the List of Teachers Ranked as Excellent five times and has received the Engineering Council Outstanding Advisor Award every year since 2014. Silva plans to continue to pursue educational research about effective teaching, including how technology and online tools, blended with in-person interactions, can be used to improve the educational experience in large classes. Tianyin Xu’s research aims at enabling principled design and implementation towards reliability for computer systems, especially those operating at cloud and datacenter scale where failures are the norm. He received his PhD from UCSD in 2017, and will join CS @ ILLINOIS in the fall of 2018, after spending a year at Facebook’s Core Systems team as a visiting scientist. At Illinois, Xu will continue studying the reliability of computer systems built for cloud and datacenters. A major theme in his work is to understand how systems break in reality, and to reason out the implications respecting reliability and disaster-readiness for the systems in the wild, and then to harden the design and implementation to defend against bugs, misconfigurations, and malice, with principles and disciplines. His doctoral work explored the systems approach to hardening cloud and datacenter systems against configuration errors---one dominant cause of today’s cloud and datacenter failures. His work has helped both commercial and open-source systems to improve the configuration design and implementation. His research was recognized with the Jay Lepreau Best Paper Award at OSDI 2016 and the Doctoral Award for Research of CSE @ UCSD in 2017.